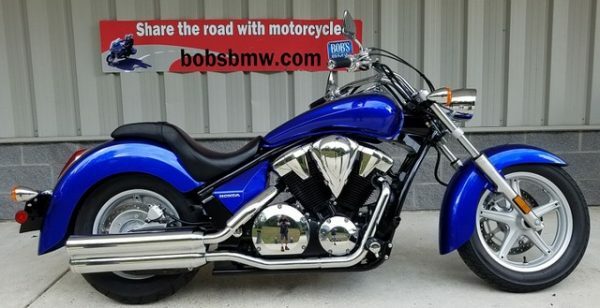 A one owner, super clean, nicely equipped and f100% ready to ride anywhere powerful, light, agile, Swiss army knife kinda all around sport, dual purpose, sport-touring or just daily ride is what the XR is all about. 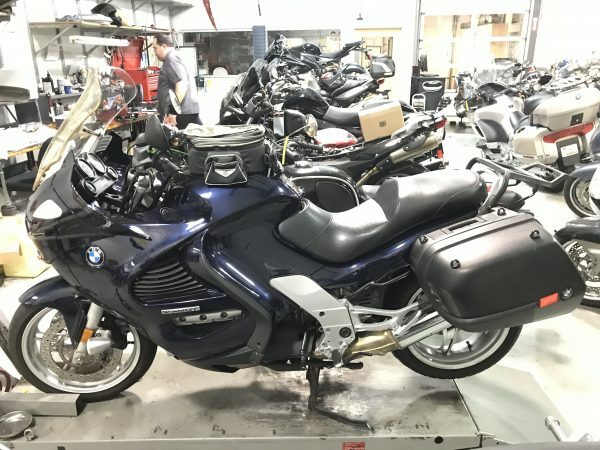 Despite the incredible success of the R1200GS series since its introduction in 2005 some riders have desired still more power and some have wanted a different kind of power. 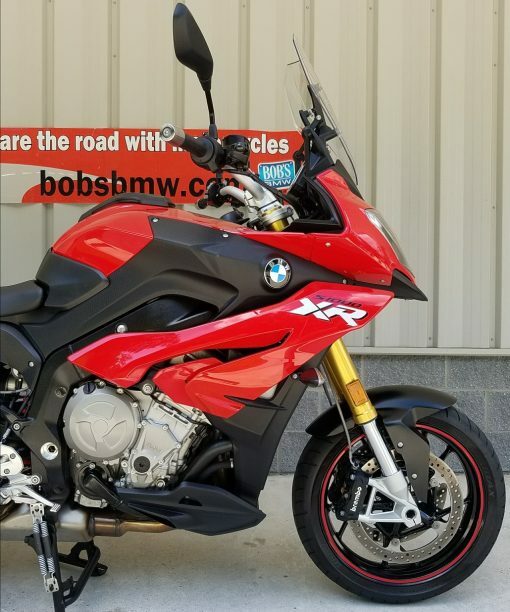 Enter the S1000RR and people said “why can’t BMW put that motor in my GS” and low and behold BMW said “well why not?” and the result is an off-road capable, on-road sports machine that for some does it all and does it all very well. Just a quick glance at some of the factory specifications include: 160 horsepower & 83 foot pounds of torque from a DOHC inline 4 cylinder, just 503 pounds at the curb, 17” cast aluminum wheels, dual full floating discs up front, 486 watts of charging power, 44 mpg average fuel use with a 5.2 gallon tank, low 33.1” seat height, fast steering from a 61” wheelbase, inverted forks with rebound and compression adjustments & 5.9” of travel, rear aluminum swingarm with 5.5” of travel, ABS (defeatable for off road use), Dynamic Traction Control (DTC), heated grips, Ride Modes Pro, Cruise control, luggage rack, Gear Shift Assist, Center Stand and Dynamic ESA which allows on the fly suspension changes. This one is fully road ready. 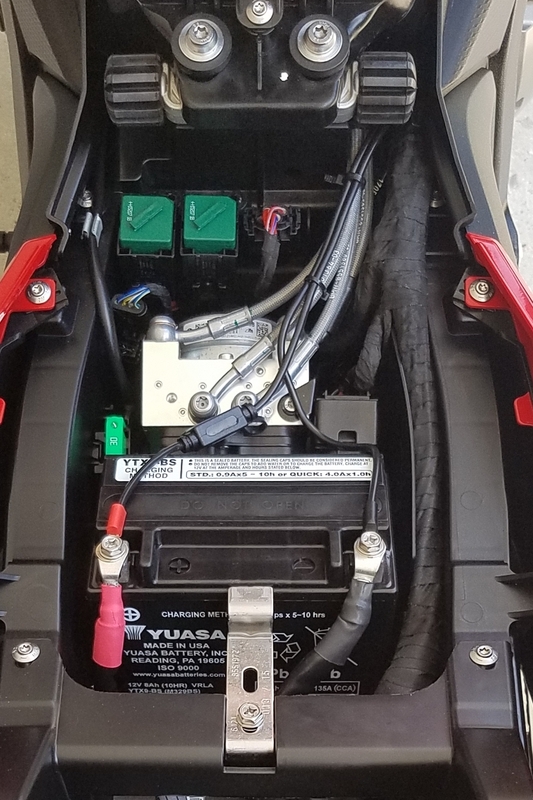 We’ve just completed our full evaluation and the state safety inspection or MSI, taken it out for a good test ride, completed a full annual service w/coolant and brake fluid change. 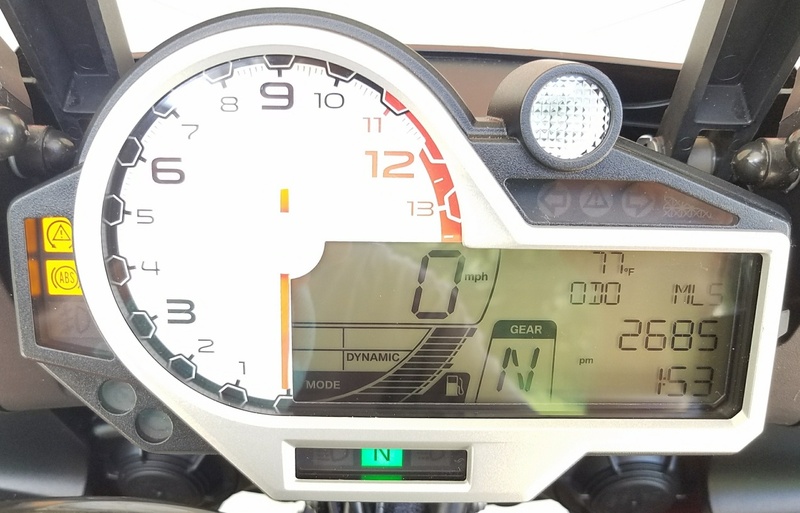 A new battery was installed in June of 2018 and the prior service was completed in September 2017 so it’s always been well cared for despite the exceptionally low miles. 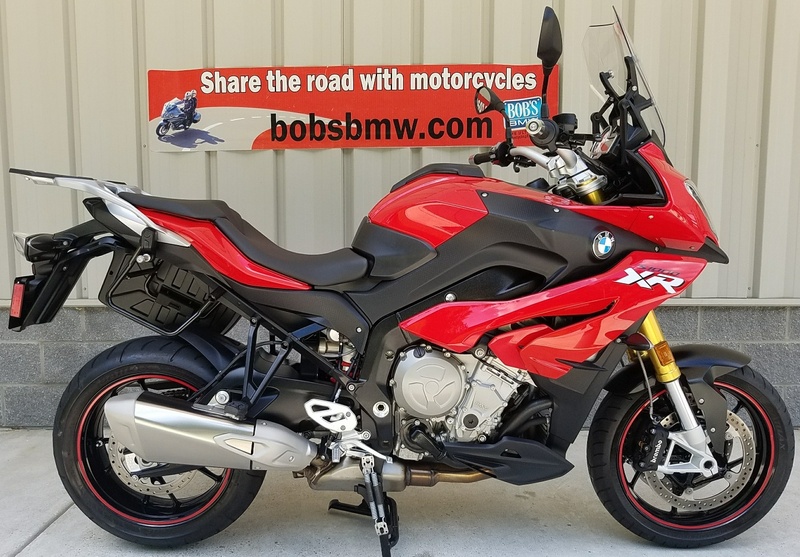 It even has BMW factory warranty (the remainder of the original 3/36) through November 3, 2019 which means it is qualified for a lower price on an extended service policy from Bob’s BMW and Zurich. 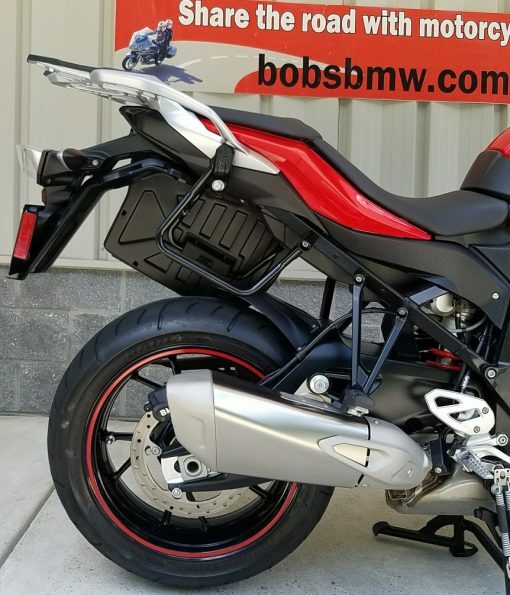 The original tires are still on the rims and easily have 70% of their safe, clean, even, sticky tread remaining. 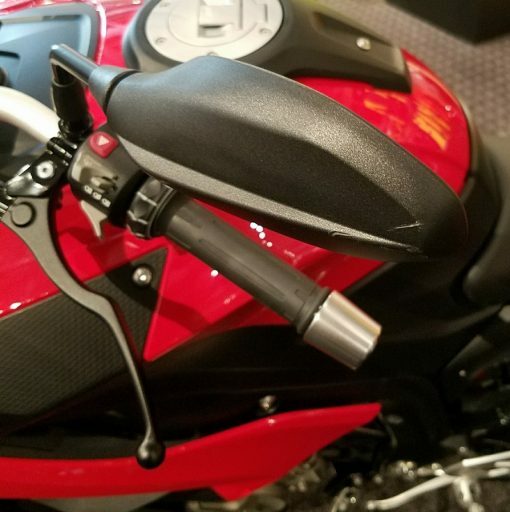 It has but two very tiny nicks, one on each side that are so small we’ll probably need to point them out. Otherwise it looks, runs and performs like a new BMW. 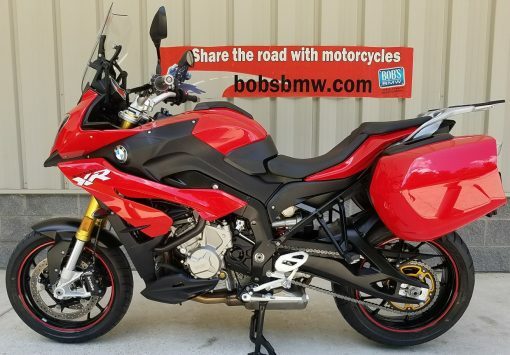 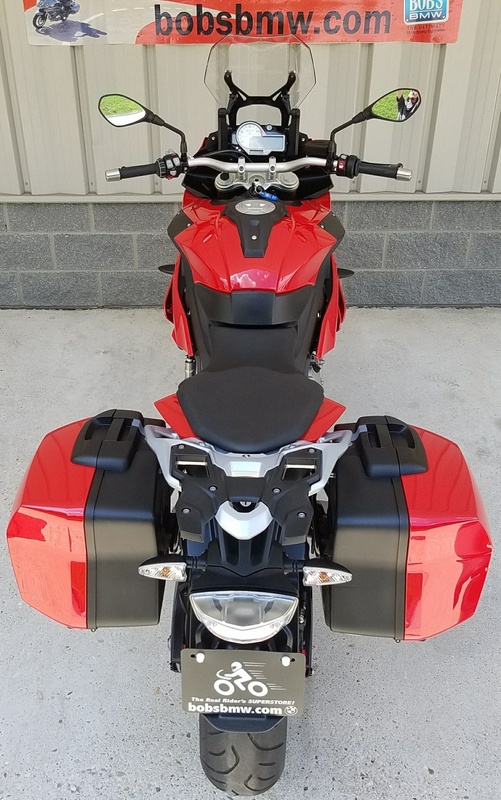 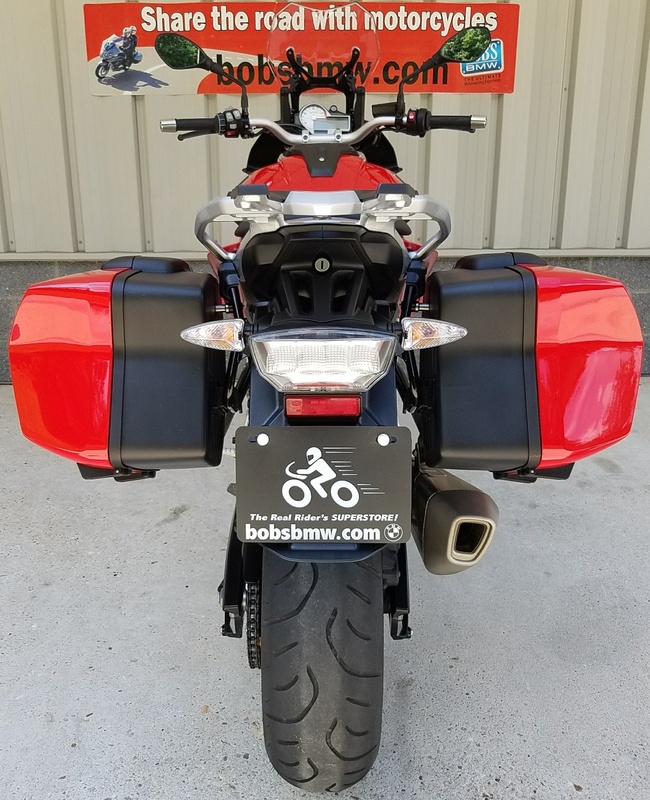 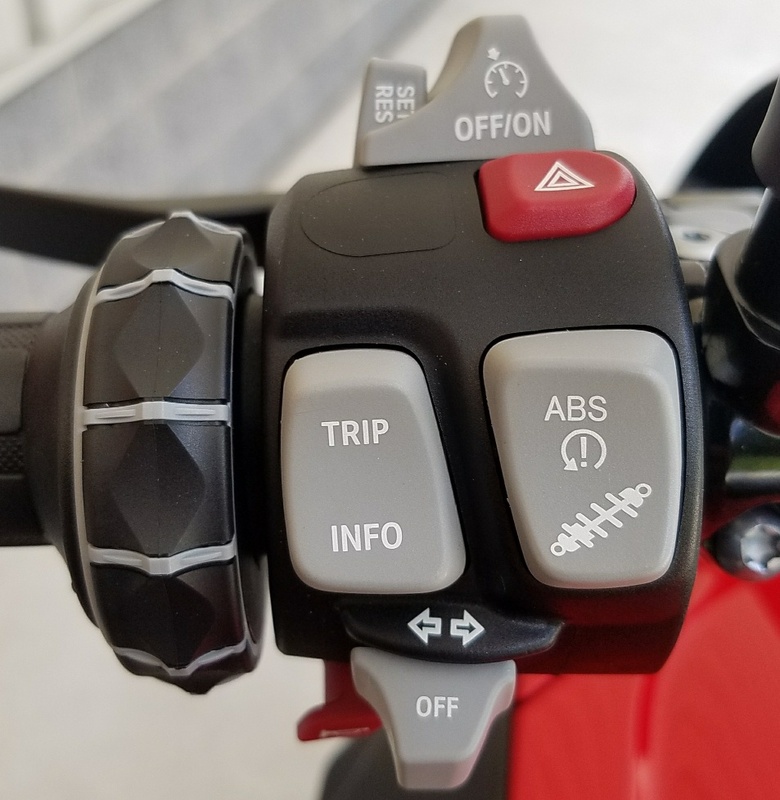 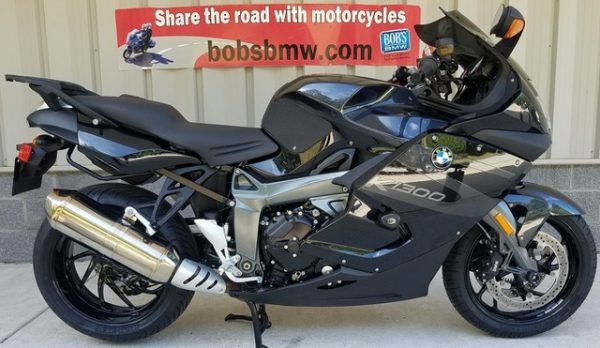 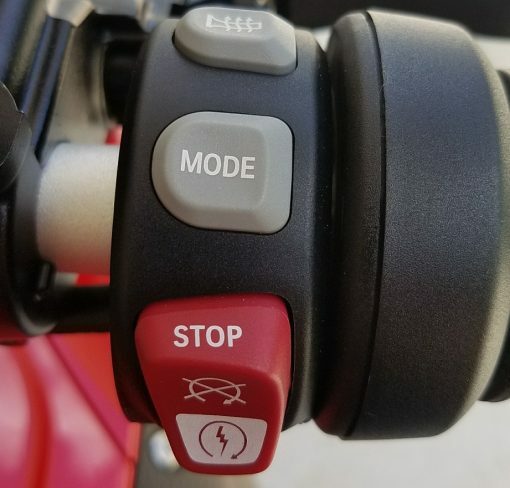 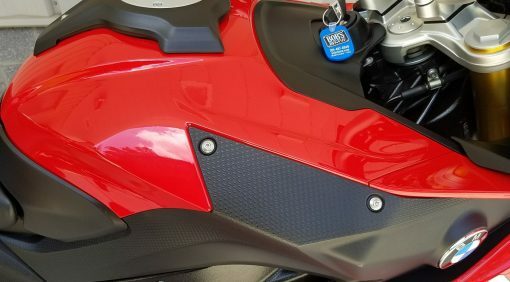 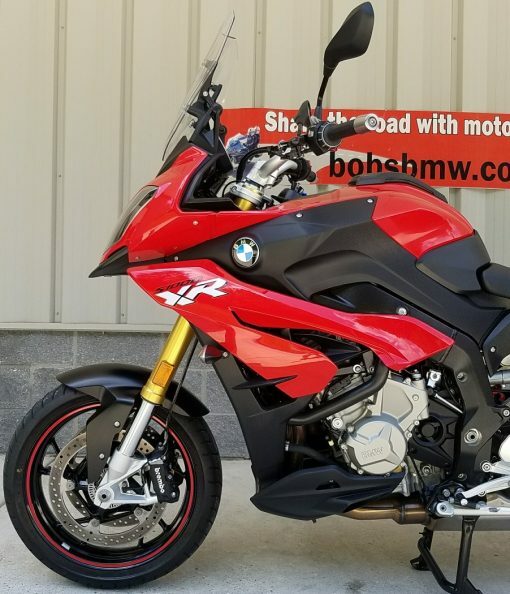 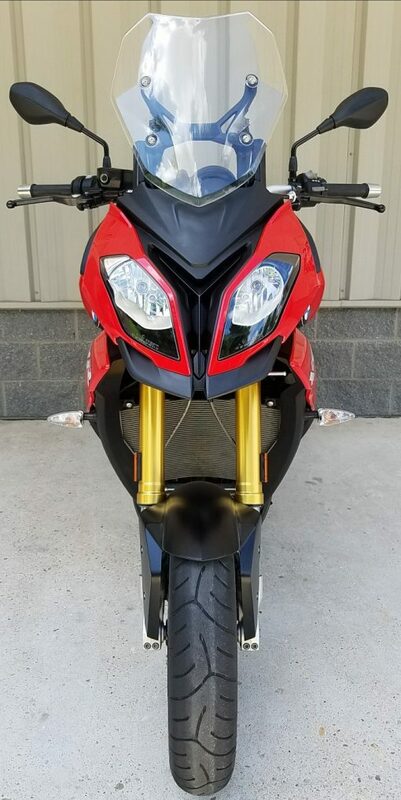 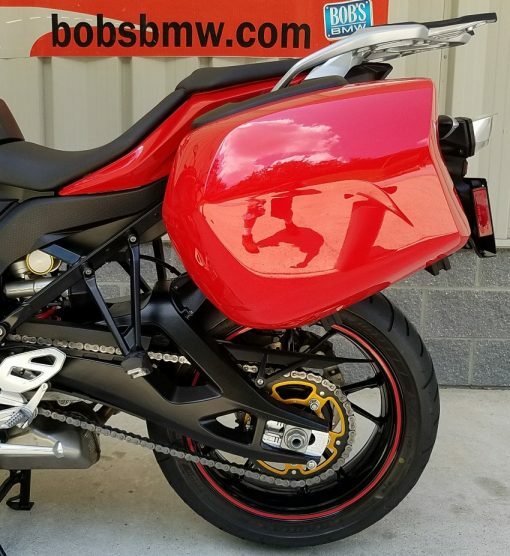 It comes with 1 original key, the under seat tool kit, owner’s manual and a basically new set of color matched BMW saddlebags and the upgrade/updated factory anti-vibration handlebar end weights for even greater comfort.